Since the reasons for the establishement of NATO are no longer present, its continued existence is not logical. Today, NATO is a military club of Europeans, Americans and Canadians monopolising global violence, intervening militarily in the affairs of other countries and unseating governments that resist their dictation, or pose a threat to their economic interests. Birthdays are not for dying. They are usually for celebration. However, in the case of the North Atlantic Treaty Organisation (NATO), which turned 70 this Wednesday April 4, it should be the Nunc Dimittis; and then, wishing its soul to rest in peace. That is if our goal is world peace, rather than a fractious world. Interestingly, administering poison on NATO as a sort of euthanasia, is a position I share with American President Donald Trump, the principal of the NATO school of war. Resting NATO is one of the quite rare occasions that our views will coincide. But while my primary reason for advocating the abolition of NATO is to enhance peace in the world and reduce bullying, Mr. Trump’s primary aim is to reduce the financial drain it represents to his country. NATO is a military club of Europeans, Canadians and Americans. However, while the military spending of Germany, the European power house is 1 per cent of its gross domestic product, that of America is about 4 per cent. The combined annual total defence spending of the 29 member-countries of NATO is $957 Billion, out of which the United States (US) accounts for $686 Billion or 72 percent. The annual NATO budget is $1.632 trillion and the Americans pick up 22 per cent of the bill. It is these statistics that anger Trump and made him threaten that the US would “go its own way” this year if other members do not increasing their military spending. Trump explains: “NATO was set up when we were a richer country. We’re not a rich country anymore. We’re borrowing; we’re borrowing all of this money. We’re borrowing money from China, which is sort of an amazing situation.” But things are not about to change as Germany’s estimated defence spending by 2023 will be 1.25 percent of its GDP. Trump’s position can also be based on the fact that as the world’s largest arms exporter, the US will gain enormously from an increased military spending by NATO countries. In 2017, America had 42 of the top 100 arms manufacturing companies in the world. The American companies accounted for $226.6 billion or 57 per cent of the $398.2 billion arms sold worldwide that year. As I argued earlier, Trump’s reasons for wanting NATO countries to spend more on arms or risk the demise of the organisation, are based on narrow American interests. But I think NATO should be abolished because it has not only outlived any usefulness it had, but is also a danger to world peace. NATO was established in Washington on April 4, 1949 by a dozen countries: Belgium, Canada, Denmark, France, Britain, Iceland, Italy, Luxembourg, the Netherlands, Norway, Portugal and the United States. General Dwight David ‘Ike’ Eisenhower, its first Supreme Commander, went on in 1953 to become the 34th president of the USA. In reaction to the establishment of NATO, seven socialist countries combined six years later to establish the Warsaw Pact. With the disintegration of the Socialist bloc, the death knell sounded for the Warsaw Pact. It came to an end from July 1, 1991, when President Vaclav Havel of the now defunct Czechoslovakia withdrew his country from the Pact. The body was set up primarily to stop what its founders regarded as the contagious spread of communism, as symbolised by the now defunct Union of Soviet Socialist Republics (USSR). It was to engage what was then the Cold War, which arose following the Second World War. The conflicts of the two sides in 1945, split Germany into two countries, the East and the West, before their reunification in 1990; divided Korea into the present North Korea and South Korea, and Vietnam into North and South, before the victorious North, led by Ho Chin Minh, reunited the country in 1975. However, rather than the collapse of the Socialist bloc and the death of the Warsaw Pact signaling the decline of the rival NATO and a move towards world peace, NATO expanded. It absolved thirteen countries, or territories that were in the Warsaw Pact: Albania, Bulgaria, Croatia, Czech Republic, Estonia, Hungary, Latvia, Lithuania, Montenegro, Poland, Romania, Slovakia, and Slovenia. Since the reasons for the establishement of NATO are no longer present, its continued existence is not logical. Today, NATO is a military club of Europeans, Americans and Canadians monopolising global violence, intervening militarily in the affairs of other countries and unseating governments that resist their dictation, or pose a threat to their economic interests. Hence, NATO bombed the Mouamar Ghadaffi government in Libya out of existence and replaced it with chaos; ousted the Sadam Hussein government in Iraq and replaced it with near disorder; invaded Afghanistan, leaving it in a state of continued anarchy; and intervened in Syria, in a failed attempt at regime change, leaving the country as a huge field of devastation and turmoil. It can be argued that situations may arise where collectively, humanity might need to intervene in parts of the world to protect lives, enforce peace or prevent genocide. Even if this were so, the United Nations (UN) is uniquely positioned to play such a role. NATO says its membership is open to “any other European state in a position to further the principles of this Treaty and to contribute to the security of the North Atlantic area.” So it is an exclusive club based mainly on race. The world is no longer divided on the ideological lines of capitalism and communism; it is now the West and the rest of humanity. The top arms manufacturers are the Americans and Europeans and the top arms consumers are the underdeveloped countries, where the wars take place. NATO declares that if diplomatic efforts fail, it has the military power to undertake military operations anywhere in the world under its Collective Defence Clause Article 5 of the Washington Treaty. To me as an African, this a throwback of how Europeans colonised the world. It is also a reminder of the so-called Gun Boat Diplomacy; using or threatening force against weaker countries in order to make them comply with the wishes of the powerful bullies. Also, NATO’s principle that an attack against any of its 29 members, is an attack on all members and that it has an obligation to militarily come to its member’s aid, is nothing but encouraging global impunity. NATO members, encouraged by the collective force, can afford to misbehave or attack other countries. 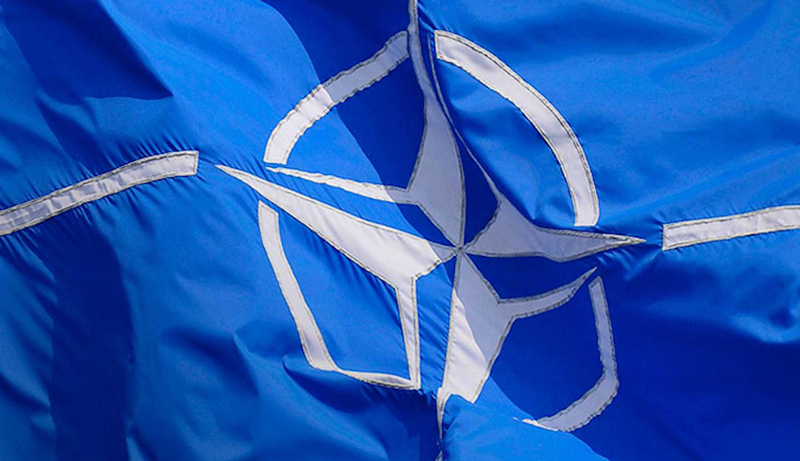 NATO is about military dominance over the rest of the world; more, a warmongering organisation whose continued existence is inimical to global peace. It can be argued that situations may arise where collectively, humanity might need to intervene in parts of the world to protect lives, enforce peace or prevent genocide. Even if this were so, the United Nations (UN) is uniquely positioned to play such a role. Also, because it might not be partisan, and given its broad based membership, the UN presents a more acceptable platform than the narrow and closed membership of NATO. Let us will the guns to silence; let us will NATO into extinction. World, without end!